Mummy has two recipes that have been published in this cook book called “Cooking to a degree”. 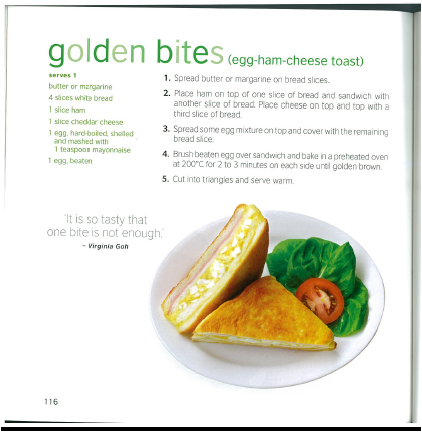 These are the pictures of Mummy’s recipes published in the book. The book is published by Marshall Cavendish and it will be launched at Pan Pacific Hotel on the 29 July 2006. 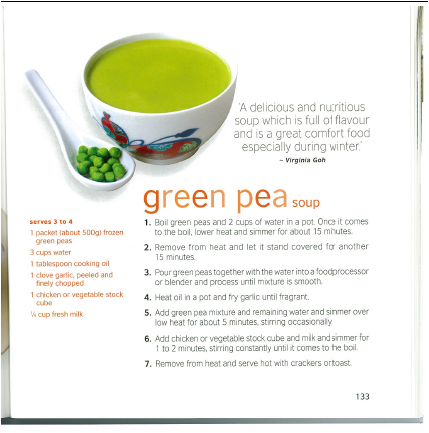 These are two recipes from Mummy, one is Green Pea Soup and the other is called Golden Bites.